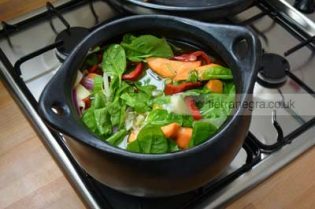 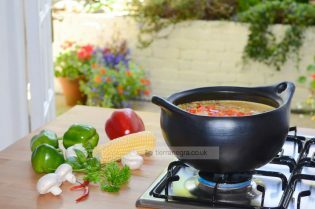 Ceramic cooking pots are ideal for preparing pulses, rice and soups. 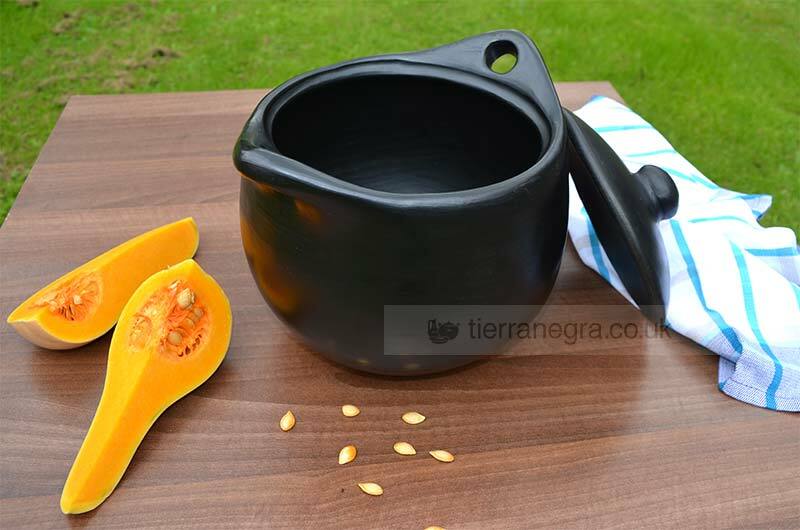 They also make impressive serving dishes on the table. 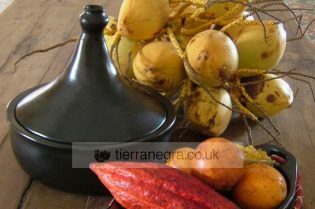 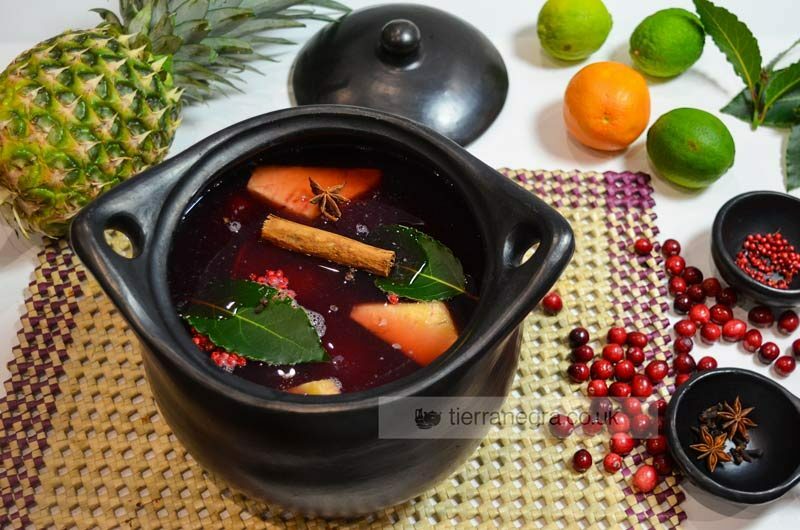 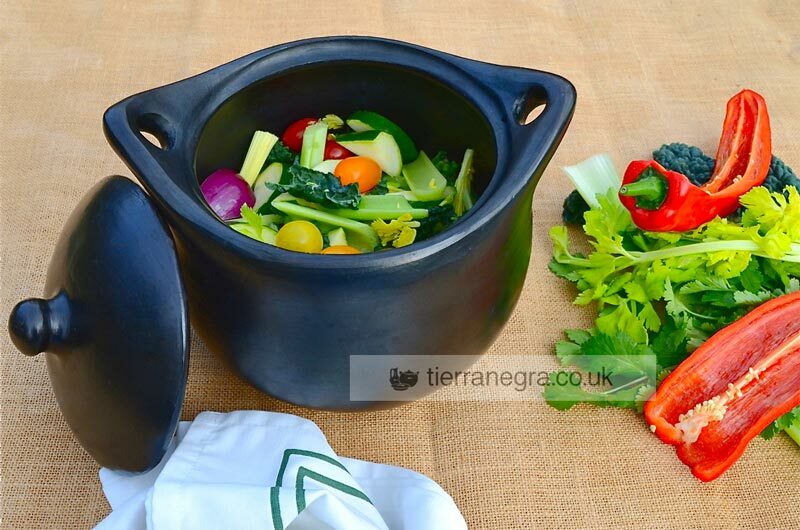 Like all of the of the tierra negra® cookware, thiscooking pot can be used over any direct source of heat. 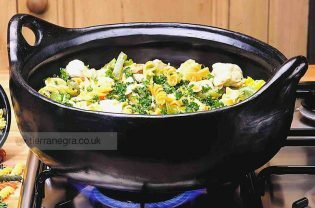 It is safe to use both in the oven and on the hob – gas, electric, Aga or ceramic. 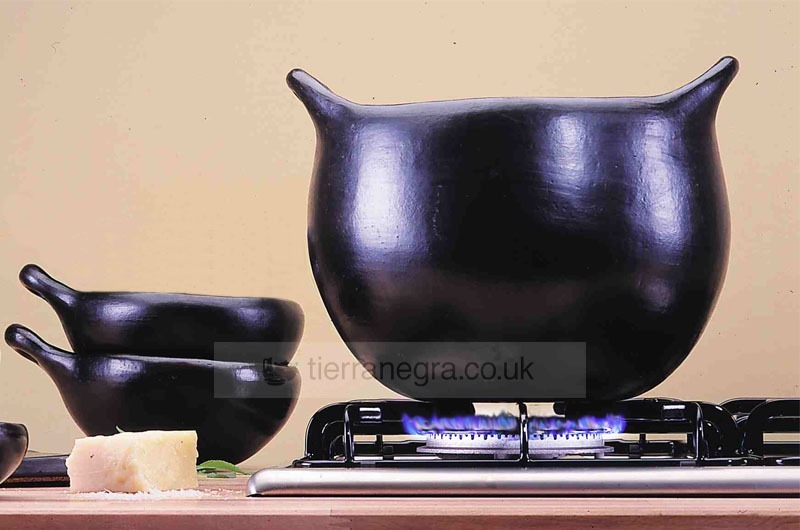 This attractive pot has a round base and for best results should be used over a gas ring or open fire.